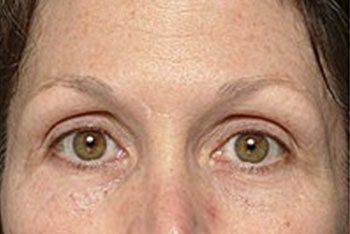 Before and after photos of female eye area after non-invasive eye and brow tightening treatment using Thermage® available at MilfordMD Cosmetic Dermatology Surgery & Laser Center. 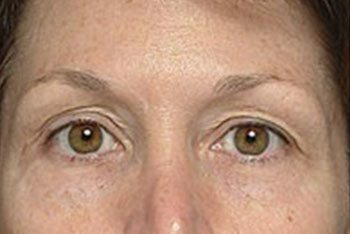 Photo was taken 6 months after the Thermage® eye tightening treatment. Notice improvement on upper eyelids.